BBK Electronics is the company that owns the Oppo, OnePlus, and Vivo smartphone brands, and as of today it adds a fourth smartphone company to its portfolio - imoo. BBK Electronics Corporation has been on the market for more than 20 years and its business kicked off with various home electronics including NES clones. Today BBK makes mobile phones, MP3 players, Blu-Ray players, digital cameras, among others. It even sells various electronics in the USA under the Memorex and Philco brands. So, Oppo, OnePlus and Vivo will be getting a new inhouse competition with imoo's first smartphone. 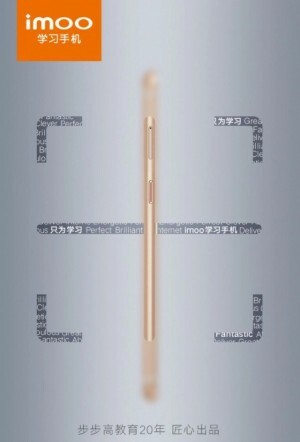 There is a teaser already for a gold metal smartphone with a highlight on a 'record' button. We guess imoo will be announcing its first device in China in the upcoming weeks. We are eager to see for what imoo is all about and why this new device couldn't be marketed under Oppo, OnePlus or Vivo. We have just one problem with imoo, and it's the name itself. We've seen a lot of odd names and we wonder if these companies do market research before making such decisions. Anyway, hold your moos, the first imoo phone is coming soon! Now we know from where the garbage companies come from.